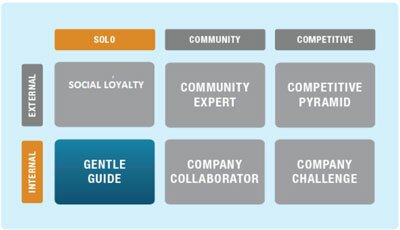 Gentle guide is a hand-holding, employee-facing gamification framework, designed to help employees complete a process of steps – be they everyday job tasks or a specific process-oriented training program for required certifications in a gamification environment. To make things more interesting, you could give every employee who scores 250 or more gameplay points in a week a special reward — say, a $50 bonus or a gift card to a local restaurant. Employees scoring 300 or more might be entitled to something even sweeter — maybe $100 or lunch with the CEO.